Perfect for for Corporate mid-week team building for boutique conferencing. With Wi-Fi and space for 40 for meetings or dining, in Gloucestershire, Forest of Dean. 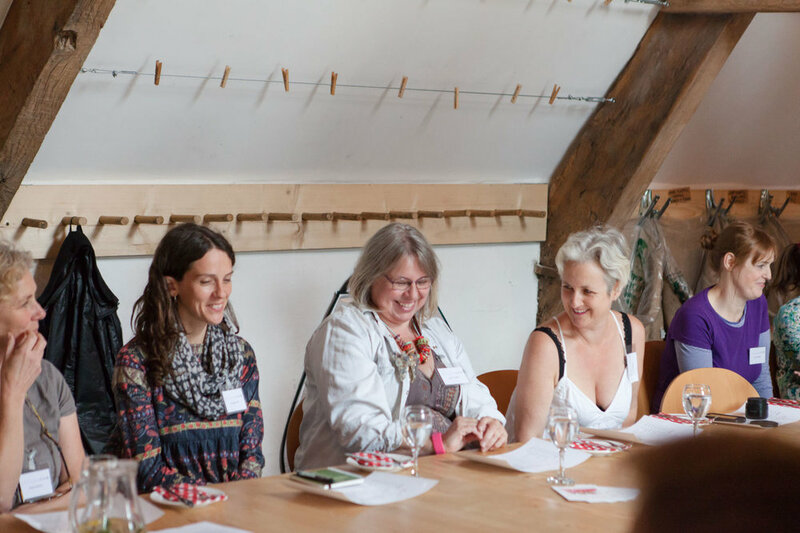 We are very happy to welcome mid-week corporate bookings at Mill End, though please be aware that the house is quite bohemian and relaxed and if you are looking for something more formal and conventional, then this probably isn’t the place for you! The Upper Malt House has four small tables which can seat 40 as 2x20 or 4x10, either for meetings, dining or activities.. The kitchen is well equipped for 40+. The Lower Malt House offers break out space with a second kitchen and five large leather sofas, and a 65″ TV screen which can be linked to a laptop. Mill End is the perfect venue to combine refreshment, entertainment, accommodation creativity and business. If you’re looking to ‘theme’ your event, we can help with that, too. 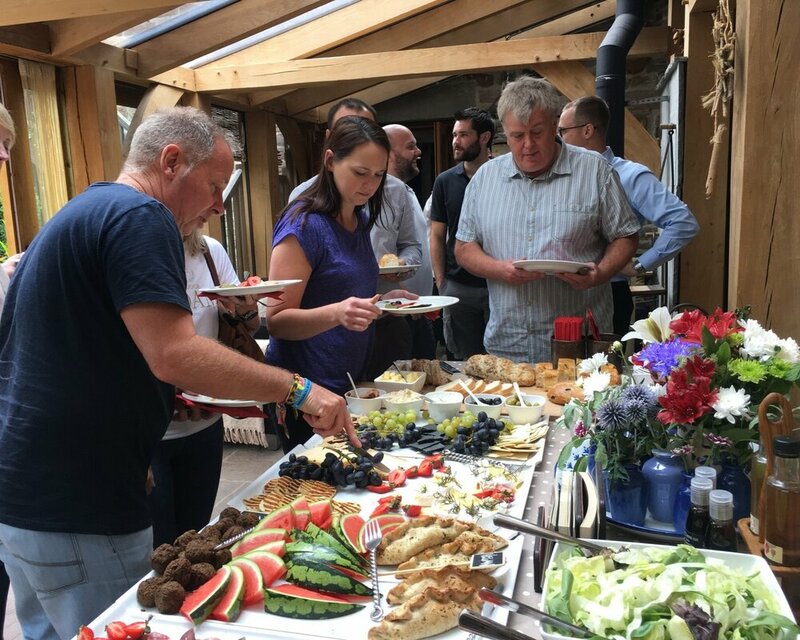 You can self-cater entirely; buffets and food boxes can be delivered on arrival, and delegate refreshment can be supplied to you whilst there, as can fully catered dining in winter and outdoor Campfire Cooking and BBQs in summer. Or we can provide seated and served evening meals. Team Building such as chocolate tempering, truffle making, wine tasting or pizza making can be provided by Bordello Banquets or look to Go Ape! for an outdoor high wire experience or Chessgrove Shooting in Longhope. Mill End Lower Malt House can be set up as an informal group in the round or a ‘home cinema’ style lay out facing the 65″ HDMi, bluetooth TV screen with wifi access downstairs. 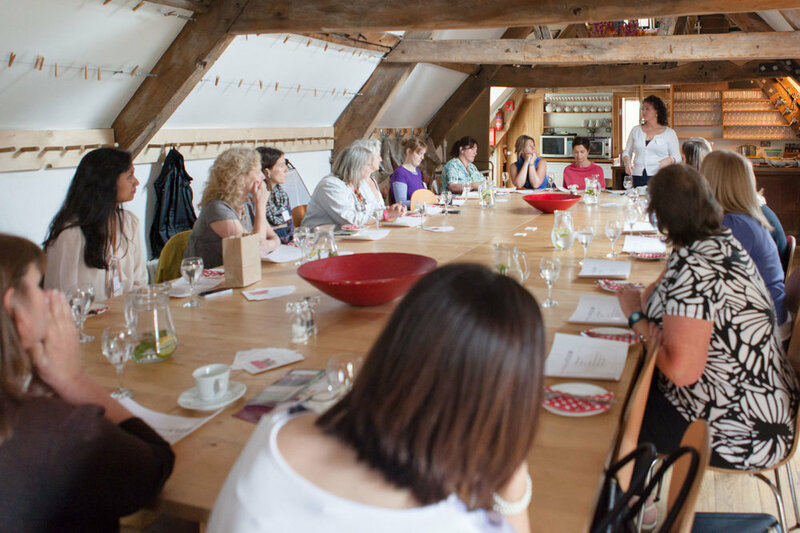 The Upper Malt House can be used for meeting space or for development meetings over food. The green oak and glass room can be further break out space or lunch time buffet room, leading onto the courtyard garden. If required there is also the Jovial Colliers Studio which can be hired, offering further break out space and use of a 55" ultra HD TV, with more leather sofas and informal seating. Delegate rates vary depending on the nature of the event & the timing - weekday hire prices are less than our weekend rates. 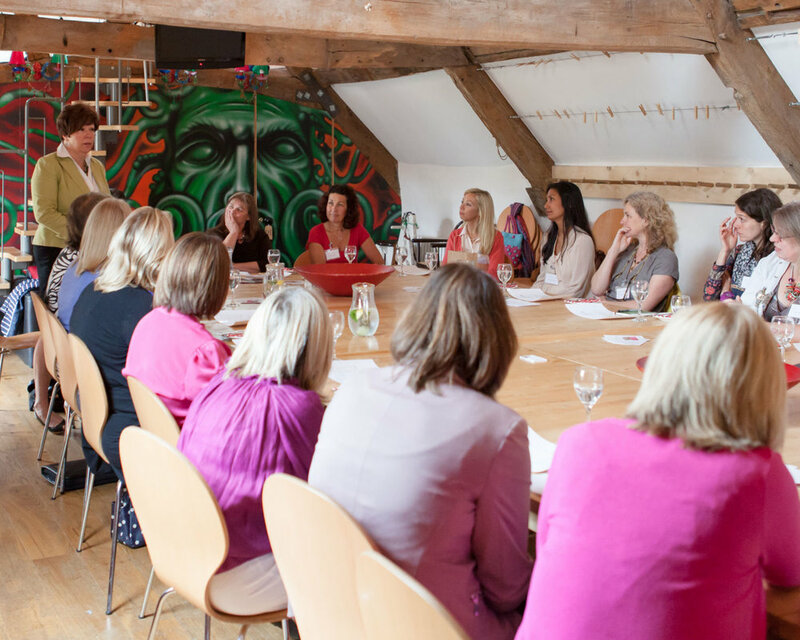 Once we know more about what you are looking for we can get back to you with all the finer details and a bespoke price, but work roughly to a delegate rate of £30.00 per head to include two lots of refreshment and a light, healthy lunch with low carbs and vegetarian and vegan options to aid afternoon concentration! Do get in touch - we'd love the opportunity to quote for you. Mill End lends itself perfectly to crew accommodation, production office and film locaion all under one roof. The upper and lower malt house floors provide great space for filming, whilst crew, contributors, producers and runners, can come and go from alternate ends of the building, and with direct access both into the oak garden room and directly from the car park. We can offer stand-alone production office space in The Cottage next door, with dedicated phone and wifi access and additional working/office and table space if required, and fully equipped galley kitchen and bathroom for the production team. We can also provide crew accommodation and catering for filming within The Forest of Dean. We hired Mill End as our base for our corporate teambuilding event due to location and size. On first contact with Liz, she was so friendly, flexible with the dates we needed and full of ideas for the room layouts. Liz also supplied us with details of teambuilding activities we could do onsite and offsite which was really helpful. The house was well equipped , with many fridges to hold our beer and wine, as well as a glasses and crockery. Towels and bedding were also supplied which was a real help. I just wanted to send you an email to say thank you so much for having us to stay and also allowing us to film at The General Stores. It is a great location for filming and also a lovely place to stay! My crew felt very at home there and we were all very well looked after. We will let you know when the show airs, but we are hoping it will be in September / October sometime.